For the fourth year in a row, you’re sending 1095-C forms to employees as required by the Affordable Care Act (ACA). Employees still have questions about the forms. 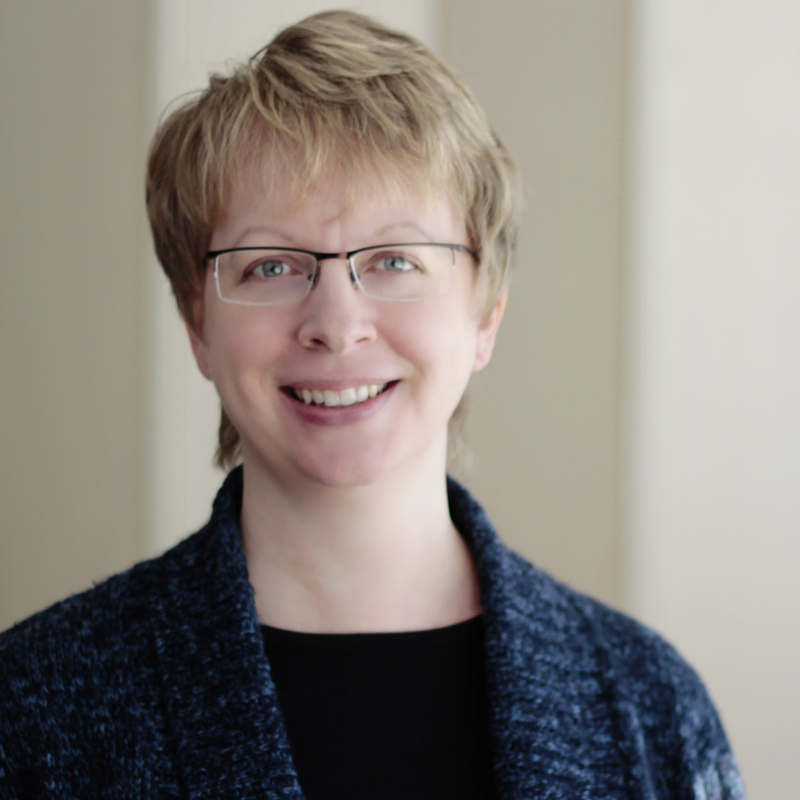 The repeal of the individual penalty in 2019 likely adds to their confusion. If you’re the one in charge of providing answers, remember the best defense is a good offense. You’ll want to answer the most common questions before they’re even asked. Although the individual mandate penalty disappeared after January 1, 2019 as a result of the Tax Cuts and Jobs Act, the penalty was still in effect for all of 2018. This means individuals needed to obtain health coverage, qualify for a health coverage exemption, or pay a penalty to the IRS in 2019 for months they went without either coverage or an exemption in 2018. 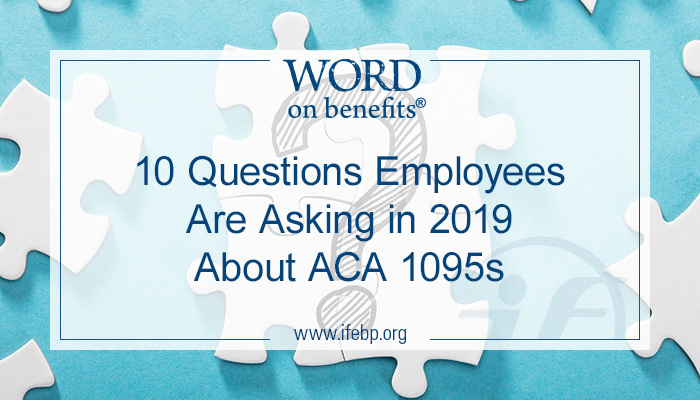 We’ve put together a list of some basic things employees will want to know about the 1095s they receive, along with sample answers. Tweak and distribute these Q&As as needed for your organization. Who is sending it to me, when and how? Your employer or health insurance company should provide one to you either by mail or in person. They may send the form to you electronically if you gave them permission to do so. You should receive it by March 4, 2019. The 1095 forms will show that you and your family members either did or did not have health coverage during each month of the past year. Because of the Affordable Care Act, in 2018 every person had to obtain health insurance, qualify for an exemption or will owe a penalty to the IRS. What am I supposed to do with this 1095 form? Keep it for your tax records. You don’t actually need this form in order to file your taxes, but when you do file, you’ll have to tell the IRS whether or not you had health insurance for each month of 2018. The Form 1095-B or 1095-C shows if you had health insurance through your employer. Since you don’t actually need this form to file your taxes, you don’t have to wait to receive it if you already know what months you did or didn’t have health insurance in 2018. When you do get the form, keep it with your other 2018 tax information in case you should need it in the future to help prove you had health insurance. Someone who had health insurance through more than one employer during the year may receive a 1095-B or 1095-C from each employer. Some employees may receive a Form 1095-A and/or 1095-B reporting specific health coverage details. Just keep these—You do not need to send them in with your 2018 taxes. Possibly. It depends on whether the federal government will require us to report health coverage for 2019. You won’t have to pay an IRS penalty, though. The Affordable Care Act was in effect for the entire year of 2018. IRS tax forms still require you to report whether or not you had health coverage in 2018. The penalty for not having health insurance after January 1, 2019 has been reduced to $0, but it still applies for the months of January through December 2018. I heard the ACA was overturned in federal court. Does that mean it has gone away? No. Although a judge in the Northern District of Texas issued an opinion in December 2018 that the ACA is unconstitutional and invalid, this decision will be appealed. Meanwhile, the ACA remains in place and will be enforced during the appeals process. I have more questions about my 1095. Who do I contact? This blog was developed by International Foundation of Employee Benefit Plans staff. If you reproduce or republish this information, please cite the International Foundation of Employee Benefit Plans as your source. This does not constitute legal advice. Consult your plan professionals for legal advice. Thanks for this summary. It will be a helpful tool to inform member communications, especially with all of the noise around the ACA in the past year.